If you or a loved one is one of the many accident victims who has suffered injuries in an electric scooter accident, it is important that you speak with a lawyer who will investigate the facts of your case and explore all options for pursuing legal compensation. In the relatively short time since electric scooter usage has surged across the country, there has already been thousands of accidents and even several fatal accidents. Serious accident injuries deserve a serious electric scooter accident lawyer who will help you recover damages when a legally responsible party causes a scooter accident and a victim’s injuries. As for who can be held legally responsible for electric scooter accidents, here is a closer look at who may be required to pay for your injuries after an electric scooter accident. Like almost any other product, not all electric scooters will operate free of defects. 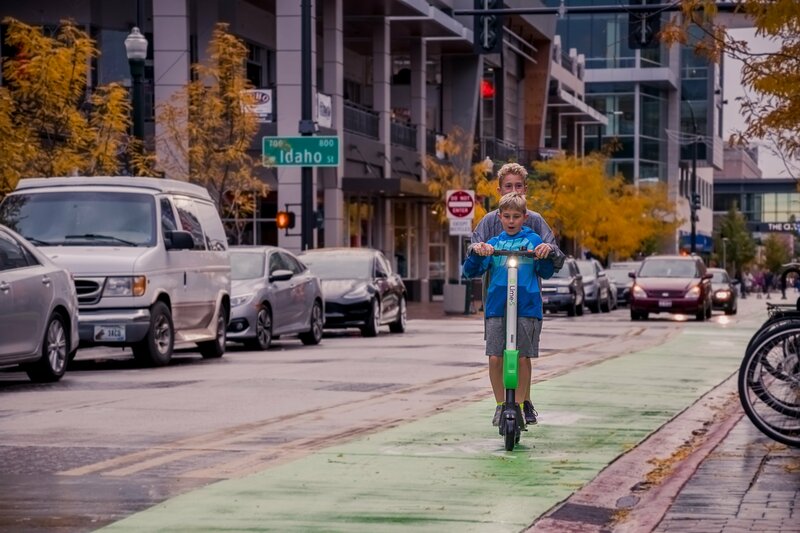 Indeed, Lime has recalled a number of scooters over safety concerns. First, a number of scooters were recalled by Lime over fire safety risks surrounding some scooters that could set on fire, and recently, one model of Lime’s scooters was recalled over the model’s capability to break in half. If an injured scooter victim was harmed in an accident involving a design defect of this nature, then, at first glance, it would seem to suggest that a product liability lawsuit is warranted. Complicating this analysis is the user agreement that many scooter riders agree to when they choose to ride a scooter through the apps of Bird or Lime, which are leading electric scooter companies. The user agreements contained in their apps absolve and release Bird and Lime, respectively, from all legal liability for scooter accidents. As a result, these companies have yet to see product liability litigation, with most scooter users instead choosing to file lawsuits that sue other responsible parties, not the scooter companies themselves. There is, however, reason to believe that it is only a matter of time before lawsuits will be filed against scooter companies. One potential reason for filing a lawsuit against scooter companies may be the mixed messaging sent by scooter companies on the subject of helmets. 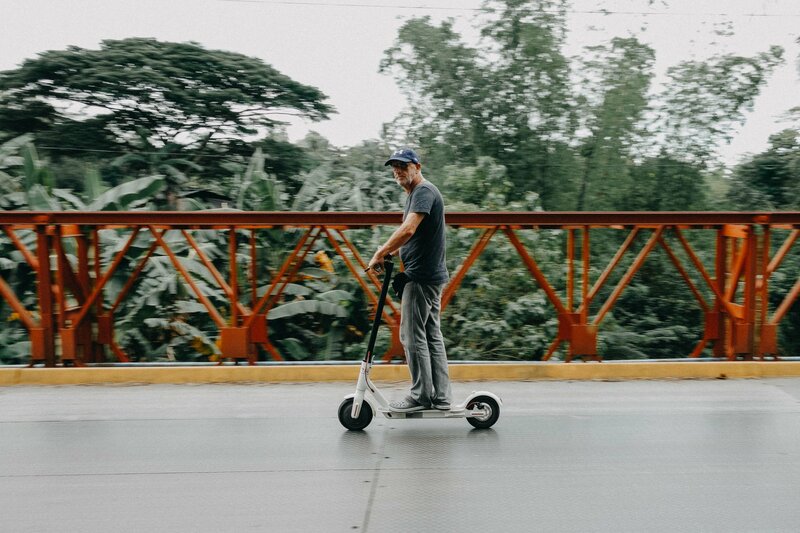 There have already been fatal accidents involving scooter riders that were not wearing helmets, and both Bird and Lime encourage the use of helmets in their rental contract. That said, browsing Bird’s Instagram and social media presence reveals a willingness to advertise scooter riders who operate the vehicles without helmets. Further, Bird went after helmet laws in California by sponsoring a bill that would do away with helmet and driver’s license requirements for operating a scooter, which ultimately proved successful. If another driver’s negligence caused the scooter accident and injuries, then a scooter accident lawyer at The Ledger Law Firm will fight to make sure you receive a fair settlement offer from that driver’s auto insurance carrier. Unlike ordinary motor vehicles that provide far more protection against road conditions, a scooter is more akin to a bicycle or motorcycle. As such, dangerous road conditions such as poorly constructed roads, improperly placed construction and potholes can ultimately cause serious scooter accident injuries. Depending on the facts of the scooter accident, these dangerous road conditions could lead to legal action against the businesses or cities responsible for creating or negligently failing to fix these public safety issues. These are a few of the most common parties that may be found liable for a scooter victim’s accident. If you have reason to believe that another legal party is responsible, such as a pedestrian who stepped into the path of your scooter, it is well worth your time to discuss your claim with a Bird and Lime electric scooter lawyer at The Ledger Law Firm. Contact us online for a free case evaluation to find out whether a Ledger Law electric scooter attorney believes you are entitled to legal compensation for your accident.